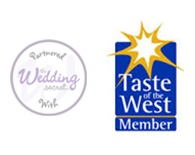 We provide high quality catering services across Somerset. We deliver all your entertaining needs, whether its a private dinner party, wedding, corporate function, family holiday, weekend away with friends, or a special birthday celebration. We will provide a professional and quality catering service that is tailored to meet your specific needs and requirements. At The French Kitchen we are dedicated to providing the personal touch to your wedding day. We will meet with you to discuss your exact requirements and develop a menu to reflect your occasion and budget. We understand how important your wedding day is and will go the extra mile to make sure you have a day to remember. No event is too big or too small and as outside caterers we are used to catering in all sorts of venues from church halls to historic country houses. Whatever the event or occasion we always provide a professional service and exceptional standards. Whether it’s a four course dinner party for a special celebration, a freshly prepared delivered meal or some frozen meals from our Food for Home menu, our range of private dining options will take care of all your catering needs giving you more time to spend with family and friends. Make your event extra special with one of our stunning, traditional style ice cream tricycles. Our service offers unlimited ice cream to keep your guests happy; while you have your wedding photographs taken, as dessert after your meal or as a special attraction at your event, creating unique and memorable experiences for you and your guests at your Wedding Reception, Party or Special Event. The French Kitchen can provide a fully licensed mobile bar for all occasions. We can cater for all events big or small with mobile bars that will suit any event from a small product launch to a large wedding. Please take a look through our gallery at a selection of images of our delicious and stunningly presented food. Whether it is a private dinner party for 6 or a wedding event for 300 people we have a menu to suit your requirements, if not we are always happy to plan the perfect menu with you to make sure your event is a success. Based in the heart of Somerset, near Bath and Bristol, we are surrounded by fantastic local produce. Everything we source is carefully selected to suit your menu so we can provide a high quality, professional and reliable catering service.